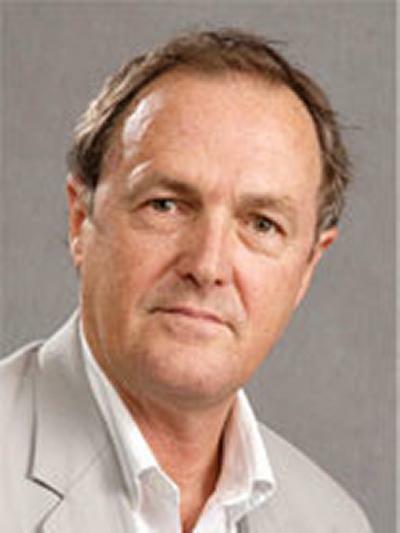 Professor Barrie Margetts is Emeritus Professor within Medicine at the University of Southampton. Having grown up in Australia, Professor Margetts was shocked when as a new graduate he came face-to-face with a malnourished aboriginal child, and did not know what to do. This lead him to get some training in nutrition and subsequently in nutritional epidemiology so that he could work out what to do, and how to apply this to a wider population. On moving to the United Kingdome he took up a post with Professor David Barker at the MRC Environmental epidemiology unit. Professor Margetts was fortunate enough to have found the Hertfordshire records, spending several years supervising the computer coding and checking of these data; these data have formed the basis of many crucial findings in the developmental origins of health and adult disease. In the early 1990s Professor Margetts developed training and support to strengthen capacity in nutritional epidemiology which subsequently led onto developing public health nutrition. This early work lead to a text book- Design Concepts in Nutritional Epidemiology. Recently co-published a textbook (written with roger Hughes) Practical Public Health Nutrition, which followe up an early text on Public Health Nutrition. In 2008 the World Public Health Nutrition Association was formed and he was elected its first president. The association will host a major international meeting in Rio de Janeiro in April 2012. Most recent research and scholarship has focused on work in India and Africa, and increasingly trying to understand how to turn knowledge into policy into action. He has been a consultant over a number of years for the World health Organization, as well as various development agencies and national governments. He is currently a Trustee for Riders for Health, a social enterprise charity aimed at strengthening the delivery of effective health care in Africa by means of improving transport infrastructure. Professor Margetts founded the international journal Public Health Nutritoon in 1998 and was editor in chief until 2007. He is currently chair of the editorial advisory board for a new International Journal World Nutrition. Professor Margetts was awarded an honorary doctorate from The North West University in South Africa in 2009 for his work on building research capacity in nutrition in South Africa. We recently coordinated a pooled analysis of all major trials that assessed the impact of multiple micro-nutrient supplementation on maternal and child health outcomes. Current scholarship is exploring ways to strengthen a food based, community development approaches to strengthen nutrition. We have one PhD project that is looking at ways to improve the effectiveness of current approaches to improving diet in Malaysia. This work is being done in collaboration with partners in Brazil who have developed a new way of grouping foods that we believe will make it easier for people to select and eat a healthy diet, and that will promote and protect local food systems and culture. The main hypothesis is that enhancing the micronutrient quality of women’s diet from pre-conception to delivery improves both foetal growth and functional outcomes in their children. This trial is nested within a longer term project designed to empower women to independently improve their own nutrition and that of their children. Women living in slum areas in Mumbai are recruited, given specially prepared nutritious snacks, and followed up until they have given birth, and then the children are followed up to assess whether improving diet before pregnancy has both short and long term benefits for health. A major activity that has brought together partners from across the university, the MRC, and the city has been encapsulated by the Southampton Initiative For Health. This activity has arisen out of findings from the Southampton Women’s Survey that women of low educational attainment (a proxy measure for wider issues) have a poorer quality of diet. controlled trial of the effectiveness of food fortification on the nutritional status of children. Ministry of Health to implement the programme. metabolic syndrome in children living in informal settlements. We have been involved in a number of consultations for the World Health Organization that have highlighted the gaps and challenges in translating policy into effective action. A major constraint is a lack of an appropriately trained workforce, and we are working with a number of partners around the world to address this gap. The aim of this work is to strengthen the research base in public health nutrition in the Kingdom of Saudi Arabia, and in particular to develop evidence based policy that will address key public health problems in the Kingdom. At present one PhD student is working on the policy environment a around childhood overweight; another project is looking at determinants of low rates of exclusive breastfeeding, including the attitudes of families and health professionals. Fit4Life steering committee, Southampton PCT. Chopra, H., Chheda, P., Kehoe, S., Tasker, V., Brown, N., Shivashankaran, D., ... Fall, C. H. (2012). Dietary habits of female urban slum-dwellers in Mumbai. Indian Journal of Maternal and Child Health, 14(2), 1-13. Margetts, B. M., Fall, C. H. D., Ronsmans, C., Allen, L. H., Fisher, D. J., & Maternal Micronutrient Supplementation Study Group (2009). Multiple micronutrient supplementation during pregnancy in low-income countries: review of methods and characteristics of studies included in the meta-analyses. Food and Nutrition Bulletin, 30(4), S547-S555. Margetts, B. M. (2009). Nutrient intake and patterns in the European prospective investigation into cancer and nutrition cohorts from 10 European countries. European Journal of Clinical Nutrition, 63(4), 51-52. Yngve, A., Margetts, B. M., Hughes, R. W., & Tseng, M. (2009). Public health: someone must have been doing something right! Public Health Nutrition, 12(12), 2253-2254. Margetts, B. M., Fall, C. H. D., Ronsmans, C., Allen, L. H., & Fisher, D. J. (2009). Supplementation Study Group. Multiple micronutrient supplementation during pregnancy in low-income countries: review of methods and characteristics of studies included in the meta-analyses. Food and Nutrition Bulletin, 30, 517-526. Vorster, H. H., Kruger, A., Venter, C. S., Margetts, B. M., & Macintyre, U. E. (2007). Cardiovascular disease risk factors and socio-economic position of Africans in transition: the THUSA study. Cardiovascular Journal Of Africa, 18(5), 282-289. Vorster, H. H., Margetts, B. M., Venter, C. S., & Wissing, M. P. (2005). Integrated nutrition science: from theory to practice in South Africa. Public Health Nutrition, 8(6A), 760-765. Denny, S. I., Thompson, R. L., Margetts, B. M., & Kaliner, M. A. (Ed.) (2003). Dietary factors in the pathogenesis of asthma and chronic obstructive pulmonary disease. Current Allergy and Asthma Reports, 3(2), 130-136. Vorster, H. H., Venter, C. S., Thompson, R. L., & Margetts, B. M. (2003). Evidence-based nutrition - using a meta-analysis to review the literature. South African Journal of Clinical Nutrition, 16, 43-47. Margetts, B. M., Vorster, H. H., & Venter, C. S. (2002). Evidence-based nutrition. South African Journal of Clinical Nutrition, 15(2), 7-11. Margetts, B. M., Vorster, H. H., & Venter, C. S. (2002). Evidence-based nutrition - review of epidemiological studies. South African Journal of Clinical Nutrition, 15(3), 68-73. Wrigley, N., Warm, D. L., & Margetts, B. M. (2002). Food retail access and diet: what the Leeds ‘food deserts’ study reveals. The Dolphin, December 2002, 12-13. Wrigley, N., Warm, D. L., & Margetts, B. M. (2003). Food retail access and diet: what the Leeds 'food deserts' study reveals. In British Retail Consortium Yearbook 2003 (pp. 228-230). London: The Stationery Office. Wrigley, N., Warm, D. L., & Margetts, B. M. (2002). Deprivation, diet and food retail access. In D. Leaver (Ed. ), Proceedings of the CIRM 2002 Retailing for Communities: Issues of Inclusion and Exclusion (pp. 2-3). Manchester, UK: Manchester Metropolitan University, Business School. Elmadfa, I. (Ed. ), Weichselbaum, E. (Ed. ), Konig, J., de Winter, A-MR., Trolle, E., Haapala, I., ... Margetts, B. (2005). European Nutrition and Health Report 2004. (Forum of Nutrition; Vol. 58). Karger.